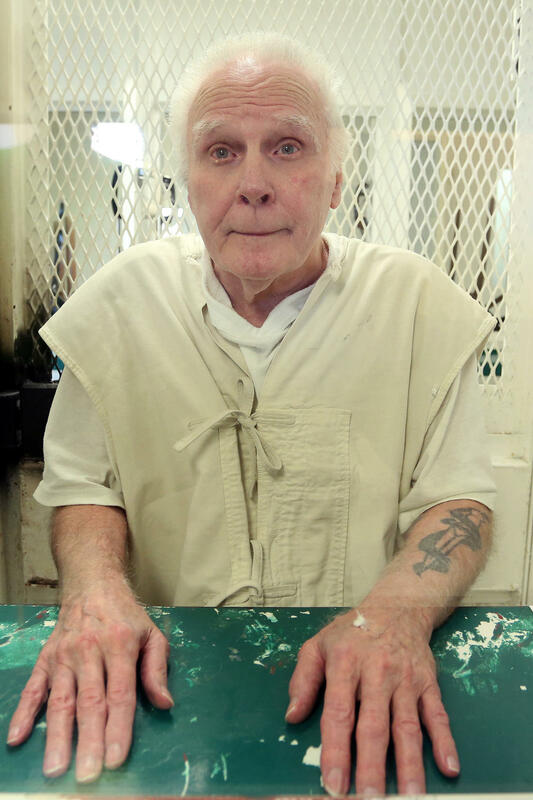 Carl Buntion, 72, is the oldest inmate on Texas' death row. Death row inmates often spend decades between the day they're sentenced and the day they're executed. That can be due to many factors – from lengthy appeals to the state being unable to get the drugs it needs to carry out executions. In the meantime, inmates age. Some are dying of natural causes. Such was the case last April when two inmates passed away – one right after the other. Texas faces many challenges treating inmates’ health on a limited budget. To understand, we must look at inmates’ overall living conditions. Conditions differ between the more than 230 men and the six women on death row in Texas. In a way, the lives of the women on death row are exceptional. They wake up in their cells, head out to a job, and then socialize or exercise until sundown when they're locked up again. But the men’s day-to-day is very different. Jason Clark is a spokesperson with the Texas Department of Criminal Justice (TDCJ). He says to understand why men’s lives on death row are different, we need to backtrack. "In 1998 Martin Gurule escaped from death row," Clark says. Gurule drowned in a nearby creek, after escaping the compound where he was imprisoned. Since his escape, things dramatically changed for men on death row. Today, they're held in de facto isolation – in tiny cells roughly the size of an office cubicle – 23 hours a day. Every day, they get one hour outdoors, in a cage, with little freedom of movement. Male death row inmates are also forbidden from receiving human touch. Carl Buntion is 72 years old. “I don't get to talk to very many people,” he says. Carl Buntion, 72, has been on Texas' death row since 1991. In 1990 Buntion killed Jim Irby, a Houston police officer. Buntion was convicted a year later and has been on death row ever since. 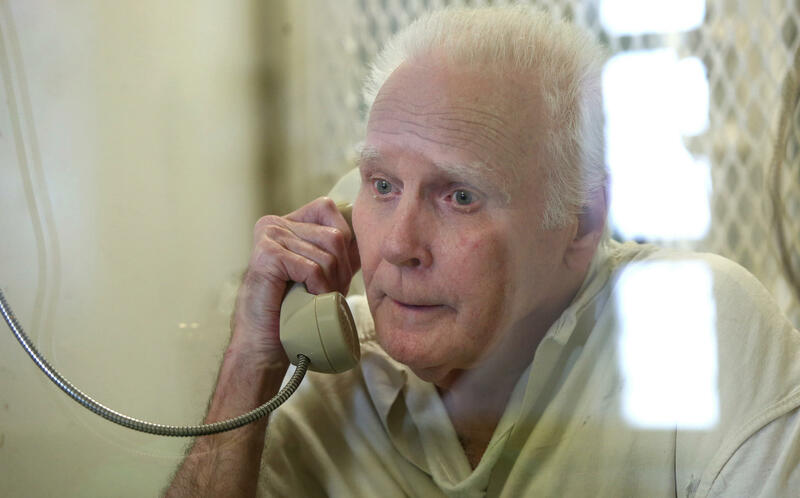 At 72, he is Texas’s oldest man on death row. He is what TDCJ considers geriatric – inmates older than 55. And for these people, this living arrangement can have very real implications on their health. “I have all the old man ailments,” Buntion says. “I have vertigo, I have extremely high blood pressure – they call it Hypertension. I have Hepatitis C. Now there's a cure for that but they won't get the medicine for it, I guess because I'm on death row. I'm expendable." Buntion's health issues are unique but his situation is not – 20 percent of death row's inmates are geriatric. "Getting to see a real medical doctor is as rare as finding gold on death row,” Buntion says. "They think I have prostate cancer," he says. To confirm the diagnosis, he needs to be admitted into a hospital for a biopsy. TDCJ partners with the University of Texas Medical Branch at Galveston – more than two hours from where Buntion’s held. In order to get there, TDCJ rules require he travels handcuffed, with his hands behind his back. "But I've got this wrist problem," Buntion says. Years ago, he broke his hand and arm. TDCJ rules prohibit inmates using slings – because they have metal parts. Without a sling, Buntion's bones healed in an awkward way. His doctors have exempted him from being handcuffed behind his back. But no back cuffs means no ride to the hospital. "My lawyer is trying to negotiate to get them to let me wear two handcuffs so I can get a biopsy – but so far they haven't had any luck," Buntion says. Carl Buntion's wrist and arm bones healed awkwardly after a break because death row inmates are not allowed to use slings. The TDCJ wouldn’t confirm his story, citing privacy laws. But if his story is true, the health of elderly death row inmates like Buntion is not so much determined by the state's ability to provide healthcare, but rather by rules the system isn't willing to budge on – whether an inmate is geriatric or not. Every male death row inmate – young or old – is detained, housed and transported under the same conditions. Without exception. Jason Clark knows health problems worsen as inmates get older. "The biggest driver, typically, for a person and their medical needs or services,” he says, “is going to be that person's age." Clark says offenders receive medical care regardless of custody level* but Buntion's case suggest the rules will not be bent for death row inmates – even if, as attorneys and advocates say, it's a matter of life and death. Wallis Nader is an attorney for the Texas Civil Rights Project, a legal aid organization that's been very active in the defense of prisoner's rights. She says for years, she's been pushing to loosen the housing rules that prevent inmates from exercising. She believes those rules exacerbate conditions like hypertension – a condition so widespread that half of death row inmates suffer from it. But that's just for starters. "I have heard from inmates who – for example – had to use a wheelchair – and because they [TDCJ] didn't have an accessible van they weren't taken to the hospital and obviously that's inadequate," Nader says. Everyone on death row is set to die, so it's a logical question to ask, why worry about the health of someone who is already condemned? Nader says because this is bigger than death row. "If you're not sympathetic at all, it goes back to the Constitution and the fact that we are protected from cruel and unusual punishment,” she says. “Failure to provide adequate medical care is considered an extension of that." In Nader’s view, the right to obtain medical care is not about extending the life of the condemned, but respecting the rule of law. It’s a position the TCDJ rejects, pointing to the provisions the state already makes for the care of inmates, irrespective of the fact that, for administrative reasons, the oldest and most frail on death row often can’t access that care. Buntion’s case, like those of other geriatric inmates awaiting execution, underscores the prospect of something too ironic to ignore, and perhaps too unpleasant to acknowledge: that for those who live just long enough, there's more than one way to die on death row. *Editor's Note: This sentence has been updated.